It was a great run by the #7 Grand View women’s basketball team in 2011-12, but unfortunately the Vikings fell short tonight in their quarterfinal matchup in the NAIA Division II Tournament in Sioux City against #2 Concordia (NE) 80-68. Their season comes to a close at 30-6. Lots of great things happened for this team. 9) Head Coach Garey Smith named Midwest Collegiate Conference Coach Of The Year. 10) Jenn Jorgensen named COSIDA Academic All-American of the Year. Amy Vos named 2nd Team Academic All-American. I’d like to personally thank all of the players and coaches for taking me on this ride with them. 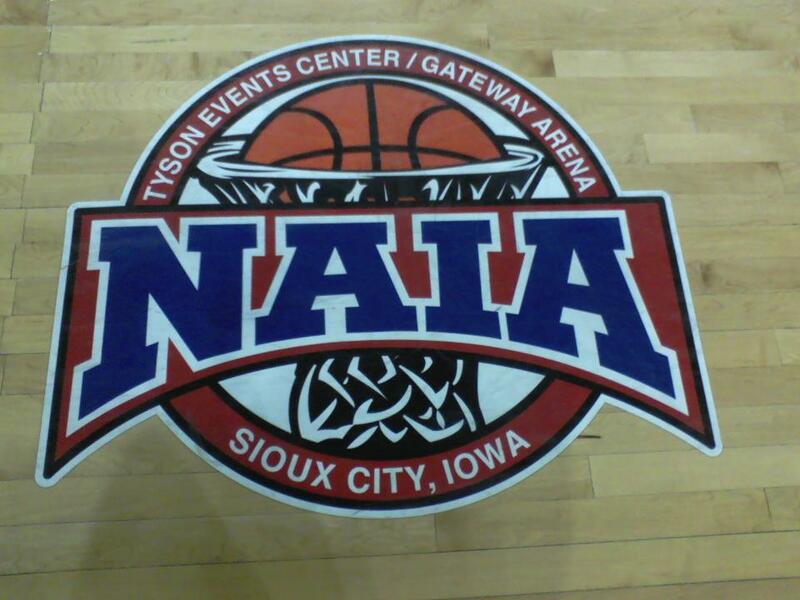 It all began with sweeping two then ranked top 5 teams at home in Kansas Wesleyan and Briar Cliff in early November. That gave me a good idea that this team could do something pretty special. The Vikings would finish the non-conference with an 8-4 mark before demolishing their way to a conference championship. Spending the last 5 days in Sioux City has never been so fun. The trip not only consisted of the games, but also the visits to two local elementary schools. Watching the players and coaches interact with the students was neat. Thursday, I was given hugs by kindergartners before leaving their class. Those are part of the memories I’ll take away from this national tournament trip. I’d also like to thank my broadcast team. Color analyst Jon Kelly and studio producers Drew Murphy and Kristin Dalin. Appreciate all of your help. Sorry to see it end, but happy for all the fun and excitement we had. Congratulations to the Grand View Vikings on a great season. News/Sports Director for 97.1 KVVL/1580 KNIM in Maryville, Missouri. 23 year radio broadcast veteran. Primarily sports. Fan of Kansas City Royals, Los Angeles Rams and Utah Jazz. Des Moines, Iowa native. BA Degree in Telecommunicative Arts from Iowa State University. Co-author of KXnO Radio call letters (1460 AM Des Moines, Iowa).